Friends and family members of a security aide to the governor of Ogun State , Ibikunle Amosun, who died in a ghastly motor accident on Thursday night - are counting their loss. 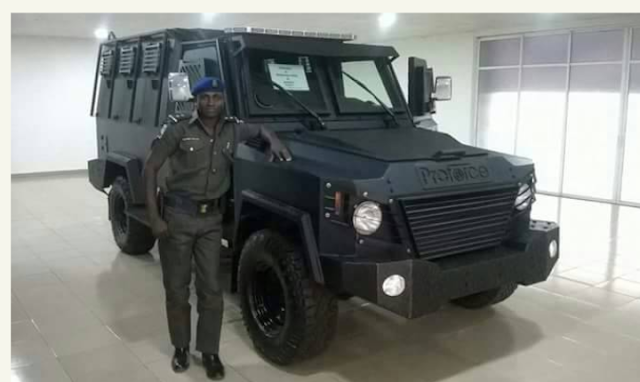 The security aide who is the Second -In – Command in the Governor’s convoy, Busoye Olayinka, popularly called “Robot,” - an Assistant Superintendent of Police (ASP), was involved in the accident along Papalanto stretch of the old Lagos/Abeokuta expressway around 9:00 p.m. He was traveling with his younger brother when the accident occurred. The brother also died in the accident. It was learnt that the duo were driving to Olayinka’s home after the day’s work but met their unfortunate death. His ash-coloured Nissan Premera marked , Lagos, PH 406 KJA collided with a truck with registration number, Kwara, LEM 77 XA along the expressway. It was learnt that the duo were driving to Olayinka’s home after the day’s work but met their unfortunate death. The truck was reversing from the compound of a steel company along the highway when the two vehicles collided. Aderemi died at a private hospital in Panseke area of Abeokuta.